From Food, Shopping to Having a Peaceful Time at The Golden Temple - Amritsar Offers a Wholesome Experience. From early morning prayer recitals two when the lights come on at sundown, Amritsar is a city with a heartbeat. The streets in Amritsar are bustling with bazaars, where people jostle for space and the aroma of food wafts perpetually in the air. 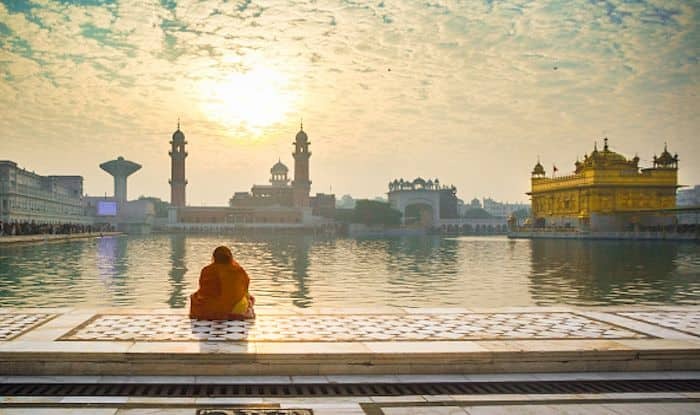 This is a city where you can learn about the country’s history, feed off the patriotic energy, indulge in some hearty meals, observe the Sikhs and their rituals from close quarters and go back with many, many beautiful memories. You must visit the Golden Temple not just once but as many times a you can when in Amritsar. It has a religious significance, but is a must visit also for those who’re looking for peace and tranquility. You may also want to be pat of the langar here that happens everyday – over a 100,000 people are fed just to make sure no one in Amritsar goes to sleep hungry. A few minutes’ walk from the Golden Temple is the great Jallianwala Bagh. A place of national importance, the garden is associated with the Indian Freedom Movement and has its own light and sound show. You can sit in the garden here and think about our country’s history and how far we’ve come today. No trip to Amritsar is complete without experiencing the ‘Lowering of the Flags’ ceremony at the India-Pakistan border known as the Wagah Border. You’ll get to see soldiers on your side of the border in full form with slogans such as Vande Mataram and Jai Hind piercing through the air. Amritsar is one of the top food destinations in India, so remember that you cannot leave the city without trying their kachoris, aaloo kulcha, chur chur naan, punjabi lassi, kheer, jalebi, matthis and more. Go to Kaku di Lassi for the lassi and Bharawan ka Dhabha for the stuffed kulchas, and Kesar da Dhaba for their makki di roti, sarson da saag and firni. You can stay at the Sawera Grand or Hyatt for a comfortable experience.